CooksRecipes has quality, kitchen-tested recipes for chocolate and chocolate chip muffins that you can count on for successful deliciousness. 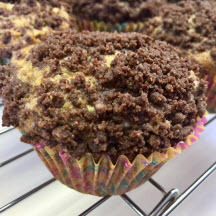 Topped with chocolate streusel and loaded with chocolate chips, these oat muffins are sure to please. 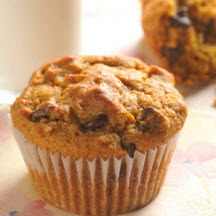 Streusel-topped chocolate chip muffins are a sweet treat that's perfect anytime of the day. 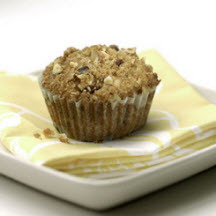 Applesauce replaces the fat in these, low-fat, moist and yummy, streusel-topped muffins chock-full of semisweet chocolate chips.